Solar and wind power are already here. By next year, Iowa is expected to get 40 percent of its electricity from wind. Nearly 20 percent of California’s electricity is generated by solar panels. The missing ingredient is energy storage, that is, batteries. Solar panels make electricity from photons, which the sun sends down on us only during the day. Although Trump’s recent remarks about the unreliability of wind were ridiculous, it is indeed an intermittent source. Portugal a decade ago innovated by using computer switches to feed in more solar during the day when the wind died down, and wind at night when there are ocean breezes but no sun. Portugal also has a lot of hydro, which is steady and can supplement the other two. Hydro pumps, where wind and solar electricity are used to push water uphill so that the water can be released and run turbines when there is no wind or sunshine, are one widespread form of “battery.” Also in use is the molten salt battery, which can keep solar-generated electricity going for many hours after sunset. Conventional batteries are, however, getting bigger and better and cheaper. In fact, a North Carolina State University study has found that lithium ion batteries now cost half what they did as recently as 2015. 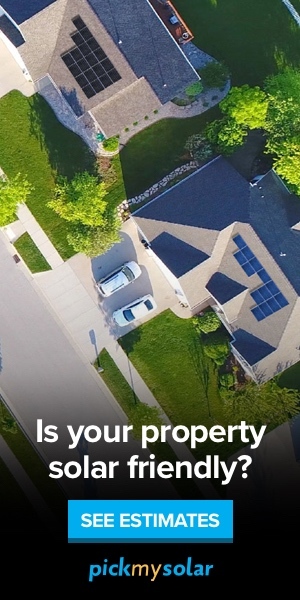 (In fact, other studies show that they have fallen in price 35% just in the past year.) The batteries are now so cheap that it would actually save utilities money if they built new solar or wind farms and hooked them up to the batteries to make stable electricity compared to just going on running old coal plants. That is right. Runnng coal plants is already costing us money as well as destroying the earth. And, the study finds, the lithium-ion batteries will fall steeply in price all through the next decade. Hence, according to Solar Builder, Florida Power and Light has announced that it will build the world’s biggest solar-fueled battery installation. 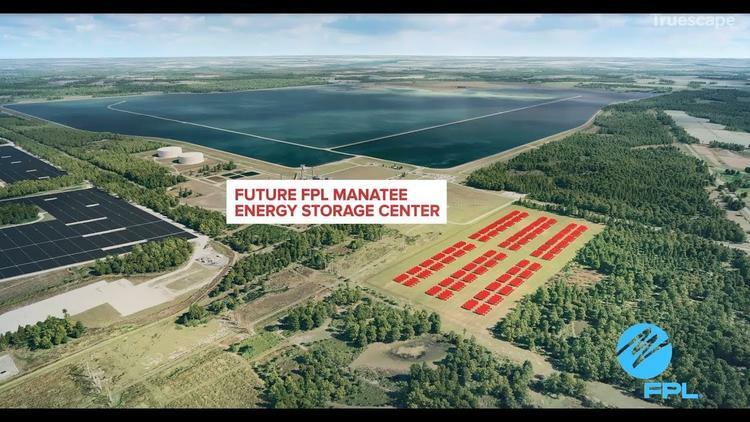 The FPL Manatee Energy Storage Center will be able to store 409 megawatts hours. That is half the capacity of a small nuclear plant! Since it is a battery, it will never cut off, just as nuclear plants don’t cut off. But it will be replenished by a solar farm. The fuel will be free, unlike uranium, and pollution-free, unlike uranium. Even better, this Energy Storage Center will let FPL close two natural gas plants, saving money on paying for natural gas. FPL has this and several smaller battery centers on the books, and when they are completed they will save consumers $100 million in fuel costs and avoid one million tons of carbon dioxide emissions.